BASKETBALL SPOTLIGHT NEWS: Basketball Spotlight Grand Finale 5th Grade Championship Recap: Team Nation Cruises! 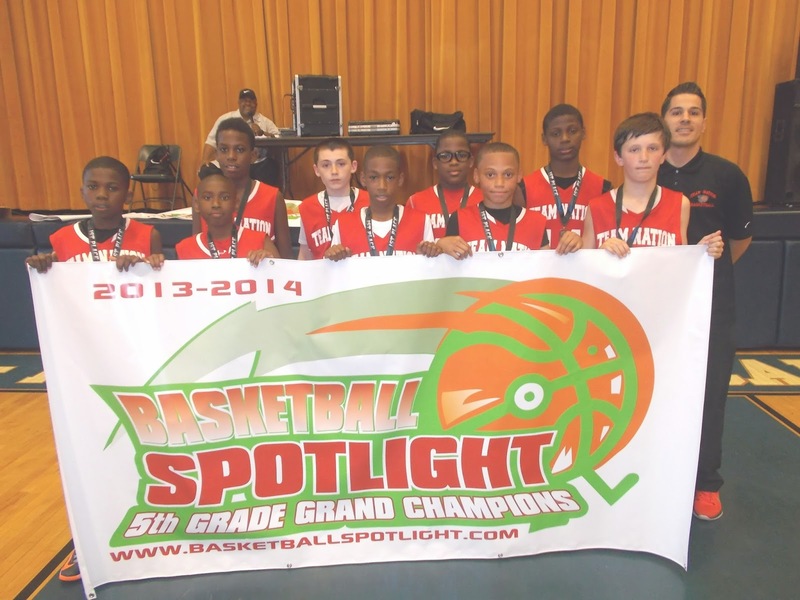 Basketball Spotlight Grand Finale 5th Grade Championship Recap: Team Nation Cruises! Tristan Jeffries and Justice Williams put together great games as Team Nation stormed past Team Final 40-19 to win the Basketball Spotlight 5th Grade Grand Championship. Congratulations to both teams for making it to the finals. Stay tuned as we bring you the top performers from the 5th Grade division of the Grand Finale.